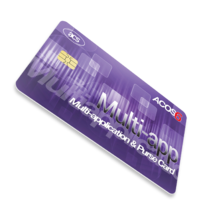 The ACOS6 Multi-application & Purse Card (MAP Card) is a high speed and flexible smart card offering cost effective solutions. It is specifically designed to address the requirements of multiple applications and multiple e-purses with secure access hierarchy of multiple levels. 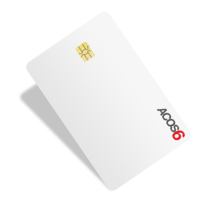 ACOS6 allows for multiple secure e-purses, which are suitable for a wide range of applications in government services, payment applications, online top-up, loyalty programs and more. ACOS6 provides a secure environment for each independent application. This function makes it the most suitable for incorporating various independent applications into only one card, thus providing cost effective solutions to developers, and a convenient platform to end users. 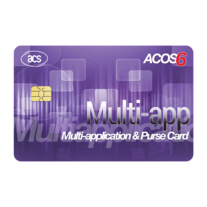 Security provided by ACOS6 can further be enhanced by the ACOS6-SAM (Security Access Module) card that enables mutual authentication, secure messaging and key diversification.